Dow Jones and the Wall Street Journal vows to close pay gap for women and minorities. 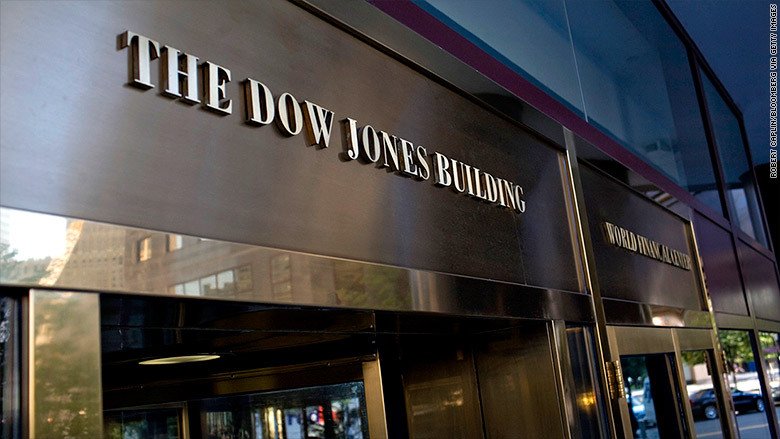 Dow Jones and The Wall Street Journal have pledged to correct pay discrepancies for women and minorities following a detailed complaint from its union. Earlier this month, the Independent Association of Publishers' Employees (IAPE), which represents Dow Jones employees, published a report showing that women at the company were paid only 86.8% as much as their male colleagues. In an email to staff on Wednesday, Dow Jones CEO William Lewis said "any pay disparity relating to an employee's race or gender is troubling and inconsistent with the standards I strive to maintain at Dow Jones." "We must, as a matter of urgency, address these issues head on," Lewis said. "I have asked the Executive Leadership Team to do a thorough review of our current hiring, development and compensation programs to ensure diversity and equality are prioritized." Gerard Baker, the editor of The Wall Street Journal, which is owned by Dow Jones, followed up in an email to staff on Thursday. "Insofar as there is any pay inequality, or indeed any disparity of remuneration or opportunity that is ascribable to gender or race, I am personally committed to eliminating it as a matter of urgency," Baker wrote. The IAPE's report, published on March 8, International Women's Day, broke down salary averages by both gender and ethnicity. White males topped the list at an average of $1,773.05 per week, followed by Asian males at $1,748.52 per week, Asian females at $1,617.70 per week, White Females at $1,497.34 per week. At the bottom of the list: Black/African-American males with $1,227.88 per week, Hispanic/Latino females with $1,176.51 per week, and Black/African-American female at $1,141.31 per week. At the time of the report, Dow Jones said that "building a diverse workforce is critically important to us and we absolutely remain committed to fostering an inclusive work environment at Dow Jones." Both Lewis and Baker sought to go further in their emails this week. "We have the finest journalists in the world and I am anxious to ensure that we reward them properly and equitably," Baker wrote. "I want Dow Jones to be a workplace that attracts and advances the best individuals of all backgrounds and we should not - and I will not - tolerate any conditions or practices that make that unattainable."